Every tree matters and so is every butterfly host plant. We can go on with our lives without giving back to nature but it is courteous, kind and it feels good to give back in a very small gesture. Being a part of ‘One Square Meter Butterfly Garden’ is a very good starting point. This might appear to be very small but let it surprise you the way it surprised me. One summer, I tried planting wildflowers on a flower box on my window instead of the usual decorative plants like Geranium. They are pretty but they are of no use to butterflies. Could you imagine my surprise when I saw butterflies fluttering around by the window? A surprise visit of butterflies is one of the joys in life which would really make you smile. It boosted my confidence and I thought that I should try planting butterfly host plants in the garden. I started in a very small corner and after few weeks, I found myself taking photographs of butterflies. I then thought that if there would be a collaborative effort in many corners of the world planting just a square meter of butterfly garden then we would be able to do something for nature. One square meter would be small but if there would be hundreds, thousands or more who would join this project then we would be creating something beautiful for this planet. We would try to break the chain of taking but form a chain of taking and giving. We would be united by our pursuit. Let us create a small garden of wonders and possibilities. ‘Wonder’ in a sense that we are creating life. A butterfly leads a very dangerous life. Do you know that aside from the metamorphosis a butterfly has to go through. Unknown to many, only 0.5 to 1 % of every generation of butterflies survive the whole process; from an egg to adult butterfly. . ‘Possibilities’, yes, we are creating possibilities that butterflies would find us. Every square meter of butterfly host plants would offer a possibility that we could prevent or at least slow down habitat loss. Butterflies, due to their rapid and sensitive responses to habitat and climate changes, are very important environmental indicators. I seriously encourage that this project be carried out outside schools but encouraged by schools in families. It would be a family project encouraged by schools to take place in homes without the promise of grades or additional credits. This must be considered as initiative to do something for the environment without the benefit of school rewards but a good feeling of doing something on one’s own for butterflies. I do believe that is where students learn caring and taking responsibility for this planet. This project also welcomes civic societies or organizations, homeowners associations and other interested parties to be a part. Let us all create a beautiful and colorful wonders and possibilities square meter per square meter. While surfing the net I came across an article on butterfly smuggling by 'The New Indian Express' which is a sad truth and major steps should be taken against this inhuman act. have immense economic value as pollinators — globally their value to agriculture per year is estimated at $200 billion, second only to the honeybee. including butterflies and moths, in the flowering season. dazzled by the wealth they confront, literally. actual collecting, and a reason why they are paid well for their labours. 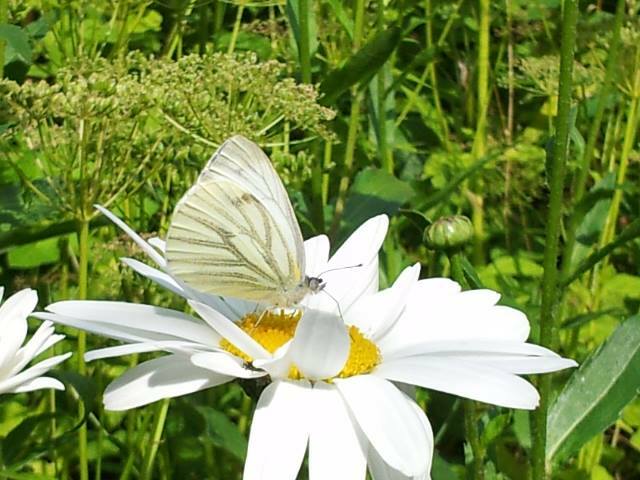 strains on many butterfly populations in the country. scale on which it happens. two of each species were spotted. Ironically, it was on a visit to Japan that he spotted a Bhutan Glory that was up for sale. It had been collected in 1999. His inquiries turned up stocks of other Indian species, available since 2003.
questioned or searched so it’s almost impossible to detect,” says Roy. up to notice only after the butterflies are gone? apprehended and sentenced to 21 months in prison. He was caught after an undercover operation that lasted nearly three years. Sorry if this is a 'muppet' question, but how do I get full-screen photographs from the photo albums? I'm using a MacAir - very basically! I AM WRITING A BLOG AFTER A VERY LONG TIME. WHILE EXPLORING THE NET , I CAME ACROSS THE FOLLOWING REGARDING CONSERVATION OF BUTTERFLIES IN DELHI SO I DECIDED TO SHARE IT WITH U ALL. Several programmes like butterfly walk, breakfast with butterfly etc are run at Asola Bhatti Wild Life Sanctury, under Sajeeve,T.K., BNHS’s Education officer, at Aravali Biodiversity Park, by Dr. M.Shah Hussain under CMDE programme of Delhi University, and at Yamuna Bidiversity Park by Dr. Faiyaz. Okhla Bird Park is home to many butterflies at the bank of river Yamuna. These places are the other main hot spots of butterfly diversity in New Delhi..
Nilgiri Biosphere Reserve (NBR) has listed 41 butterflies as protected under wild life protection act 1972. The list includes 8 species under schedule I, 26 species in schedule II and 7 species in schedule IV. 300 species have already included in red data book as endangered species, which is very alarming (The Tribune). Large-scale poaching and international nexus of smugglers is the biggest threat to Himalayan butterflies like Apollo and Swallowtail butterflies which are most threatened species. Smugglers engage locals specially children in Arunachal Pradesh, Kerala, Rohtang Pass, Assam and W.Ghats and pay them 30 –50 rupees for every butterfly they catch for them. Depending upon the species these are sold in the international market, some times for even as high as 2500—3500 dollars. China and South East Asia along with Thailand are the main hubs of international butterfly smuggling from India. Poachers come to India on student visas and they collect rare butterflies carry them in envelops , matchboxes and use many more criminal methods for their transportation and not only that they throw away all those beautiful butterflies whose wings are damaged during catch and this number may even touch to thousand some times. Lack of expertise in the identification of butterflies poached help poachers to have an easy escape; there are many reported incidences where international smugglers were released from police custody due to lack of information on identification. These Lepidoptera are killed, dried and used for greeting cards, and for other ornamental and decoration purposes. This is seriously very bad as butterflies play avery important role in our ecosystem (as shared by many of my friends) . Certain steps should be taken to curb this problem. 1- Habitat destruction of forest cover especially for species –specific host plants should be reviewed time to time. 2 - Increased vigilance on poaching of butterflies from the areas where they are found in abundance. 3- Educate school children from primary level by introducing butterfly chapters in science books about their importance in various fields related to human life. 4 – Recognise and reward those experts who are already engaged in butterfly conservation programmes and are working on their own as field guides in their area locally. 5 - Sponsored symposia and seminars in every academic institute for updating information on butterfly status in the country should be encouraged through government funding. 6 - Farmers in villages should be educated about butterfly’s importance as a pollinator in agriculture. 7 - A data bank at national level should be created where information related to butterflies and their conservation is maintained with all details including regional nomenclature of all butterflies. 8 - Academic institutions should discourage students for submitting annual projects on butterfly collection and their albums. 9 – Discourage use of over dose of pesticides in crop fields and avoid overgrazing .They kill eggs,and larvae of butterflies. 10 – Farmers should be made aware about crop rotation and monoculture plantation should be reduced. A study conducted in Assam Tea Estates shows that butterfly density was low in tea gardens because of monoculture as compared to other green forests. I would like to ask all of you which one of the above measures is most effective and that can be incorporated in our project of butterfly in your hands. *It usually has some preference for certain species in a given area. The more commonly used plants are Ficus racemosa, Nerium oleander, Nerium odorum and Cryptolepis buchananii. Ficus pumila a cultivated garden plant which climbs on walls. CHOCOLATE PANSY BUTTERFLY (Junonia iphita):This is a butterfly found in Asia.It is about 5–6 centimetres in wingspan and the female can be told apart from the male by white markings on the oblique line on the underside of the hind wing. The wavy lines on the underside of the wings vary from wet to dry season forms.Individuals maintain a territory and are usually found close to the ground level and often bask in the sun.The eggs are often laid on the ground or on dry twigs near the host plants rather than on them. On hatching the larvae find their way to the host plants. MALE CHOCOLATE PANSY BUTTERFLY:Upperside of both sexes brown of varying depths of colour. Fore wing: cell with one pair of subbasal and one pair of apical transverse sinuous fasciae.Hind wing with a slender blackish loop near apex of cellular area; a broad inwardly diffuse, outwardly well-defined short discal fascia in continuation of the one on the fore wing; a series of postdiscal somewhat ochraceous ocelli with black pupils minutely centred with white; postdiscal and subterminal broad lines as on the fore wing. FEMALE CHOCOLATE PANSY BUTTERFLY:Underside brown, with very broad darker brown transverse fasciae, the interspaces between the markings irrorated with purplish silvery scales. Fore wing with two sinuous fasciae on basal half succeeded by a discal fascia, very broad at the costal margin and decreasing in width to the dorsum, bearing on its outer border a row of obscure ocelli. This is succeeded by a zigzag dark line, and sinuous subterminal and terminal lines ; apex and tornal area suffused with purplish silvery. Hind wing : two irregular, very broad, dark brown, curved short fasciae near base ; a straight, transverse, prominent, narrow ochreous-brown discal band defined outwardly by a black line ; a transverse postdiscal dark brown fascia, widest in the middle and bearing outwardly a curved row of ochreous-brown white-centred ocelli, followed by a zigzag dark line in continuation of the one on the fore wing; a subterminal somewhat diffuse dark fascia and a terminal dark line. Antennae, head, thorax and abdomen dark brown. LARAVE AND PUPA:The Larave is cylindrical, slightly pubescent and armed with nine longitudinal rows of many-branched spines, except on the head which is clothed with short bristles and the Pupa is regular, with three or five dorsal rows of small tubercular points, hung perpendicularly. The larvae feed on a variety of plants of the family Acanthaceae species recorded are Hygrophila costata, Justicia micrantha, Justicia procumbens, Justicia sphaerosperma, Lepidagathis formosensis, Strobilanthes callosus and Strobilanthes formosanus. Thanxx for reading my blog...This much for toady i hope you enjoyed reading my blog next weel i will be telling you about PEA BLUE BUTTERFLY...Till then bbyee tc ciya and have a nice day!!!!!! Today , i will tell yu about our visit to Yamuna Biodiversity Park , Wazirabad.Yamuna Biodiversity Park is a vast area covering around 150 acres.It is divided into many zones : Visitor's Zone , Nature Reserve Zone , Herbal Zone and Butterfly Conservatory.Let's mainly concentrate on the Butterfly Conservatory. Butterfly Conservatory is a very bright and colourful place.It is place full of butterflies and host plants.One - one leaf filled with a cluster of eggs.One-one plant fillede with butterflies fluttering over them.Salmon arab butterfly , spotted peirrot , common mormon , plain tiger butterfly and so on. We clicked many pictures and had a lovely time inspite of the tiring weather .Overall , we had a lovely time. so , that's all for today . Here are a few simple ways to conserve butterflies. No sound attracts wildlife like running water. Add a small gurgling water source to your yard, and backyard birds will flock to your home! Grow the plants caterpillars crave as food: milkweed for Monarchs, dill for Swallowtails, pussytoes for Painted Ladies. As you feed caterpillars, you'll be growing butterflies! When autumn's leaves fall, leave generous piles in corners, atop beds. It's great mulch, and a winter hibernation spot for butterflies, bees, and more. A messy winter garden is great habitat for small creatures. Purchase a hummingbird and/or a butterfly feeder, stock it with homemade nectar (sugar water), and enjoy watching these nectar-sippers at work. Pesticides harm valuable insects, not just the pest you've targeted. And the potential impact of chemicals on children and pets is still unknown. To restore ecological balance, minimize or end your use of sprays. Feed birds naturally by planting the trees that produce wildlife-friendly fruits and seeds: pines, oaks, walnuts, fruit trees. Dogwood's red berries, for example, are winter food for as many as 90 species of birds. This blog will show the blogs , photo albums and videos contributed to the butterflies by the students of Apeejay School , Pitampura. 1.Greta Oto or The Transparent Butterflies. 2.The World's Most Beautiful Butterflies. 3.Dangers Faced by Butterflies and How We Can Help Them. 5.Butterfly Conservatory at Lodhi Garden in New Delhi. 1.Beauty of Butterflies in Culture. 2,What does a Butterfly do for Nature? 3.Spotted in Delhi . . .
2.The Need for Butterfly Conservation. 3.Butterflies aren't for Free or Profits. 2.Some Art that flutters in India. 1.Life Cycle of a Butterfly. 1.Contributions of my city( New Delhi ) for Butterflies. 1.The Garden made for Butterflies in New Delhi ( Lodhi Garden ). 1.Millions of Butterflies fill Indian skies. 1.Families of Butterflies spotted easily in Delhi.